Not really; I've been too busy to get much done. The new UI is written and just needs some tweaks before it's finished. Before long I'm going to hit a point where additional improvements require a huge amount of additional work (FBX IO layer); I'm not sure if I'll take this tool past that cliff. I'm relatively new to this site, but I have had some experience with blender along with modding JPOG and other dinosaur related games, I had a little go at this and I ended up with an alright Baryonyx, I haven't put it in the game or anything. oh my gosh, nice model and skin dude! Well, my team is not able to add skins after the last update. To export skins you need to have a material with a properly linked texture in blender before you export to DAE. There likely won't be any updates for 3-4 months still -- from a programmer's perspective the next few things are pretty boring and it's hard to use my very limited free time on them. This is truly incredible - I've been playing JPOG for nearly ten years and never thought putting new models/editing models would be possible. For the record, has anyone tried editing the models in Autodesk Maya? Maya should work fine -- the DAE format is for asset interchange, so it works with almost everything. I can't personally test it though. I developed this tool because I was interested in deciphering the file format and not because I do a lot of modding JPOG personally. So I have not taken time to develop any complete models; I've mainly just made quick edits to test features of the tool. You likely won't ever see me publish a mod, however once this is more stable I'm probably going to take the most complicated thing I can come up with a record a tutorial of myself modeling it. I just tried out the merging tool with a new Allosaurus model I made, but whenever I tried to load the .dae file I edited nothing happened, and when I did save it as .TMD it remained unchanged in-game. Thanks for the quick response, equinox. I'll get onto the server. Edit: The invite appears to have expired! Would you mind sending me another, please? Another Edit: Turns out I had a mod installed that made the allosaurus use a different model, so I replaced it and now my model is in-game. However, it appears white, and I'm sure I exported materials from within Maya (although it didn't have a skin applied to it). Can anyone help? With the problem of the skin,you need to export a texture/skin in PNG to the model before of save and convert it. Seems like the Pterosaurs I was working on are now rather shabby, well, time for the modelling table! Already made a small non-descript pterosaur, haven't gotten it working IG yet, or skinned, or anything. But good job man! This is amazing! Oh, and I haven't really figured out how to export TMDs... I've used the DAE pack, seems like I get an error every time I try it, but it's probably me derping up at 2AM. Thanks again! EDIT: Screw it, making it a dimorphodon, will upload a pic later. Model is a bit bugged, but know the causes, still, semi-working. Skinning will be fun, considering it's in misc. 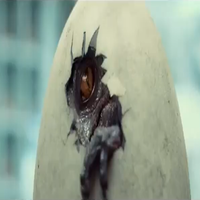 I come back to check on this site after years of being inactive just to see Jurassic World Evolution announced and then stumbling on to this the very same day? Color me intrigued. It's been a great year of advancements for JPOG modding so far, welcome back though! Hello man's, Are you gonna make video tutorial how to use tmd model processing tool? How do I see other animations in blender? I does not seem to work for me. -2-Rename the "repacker-0.2.1-alpha" (.jar file) to repacker-0.1.0 in the 0.2.1v folder. -3-Copy repacker-debug. file from the 0.1.0v folder to the 0.2.1v folder. -4-Duble click repacker-debug file to execute. But onestly I use the 0.1.0v because it has been working fine for me and also has material editor to. Hi, i know this can sound a bit off topic but this is the most active post i found on the internet. He keeps blinking from normal to green to blue to invisible, and the loop gets faster when it runs. Does any one know why this hapens? I really want to know because this model has a higer quality than the others. Hey Equinox. I was just wondering if this new model tool is able to put new building models into the game. If so, it might be the first step towards a functioning Hunting Platform, Hotel or JP Institute. Does anyone know how to use this tool? I wanted to try messing around with editing models again, but I can't seem to get anything to run. Edit: Never mind, I figured out how to do it. If anyone else needs help with this you can PM me and I'll explain how I managed to do it. Hi there, I'm new in the forum. First of all, thank you equinox for your work in this tool, it's simply amazing, in the last 15 years I've been playing and modifying JPOG and it's really the first time I've seen an advance in the modding scene so big since the Hex modding. So I was using v.0.1.0 and it worked, but when I tried to use the 0.2.1 version, the .jar file didn't even open. I've already done what @FFossil said a few post ago, but it still the same. Is there a way to make it run? I'm using Windows 10 64 bits. I've been able to edit models and put them back into the game using this tool. Plus, it almost seems like Hendrix more or less refined Equinox's tool. For some reason Hendrix's tool didn't worked for me. 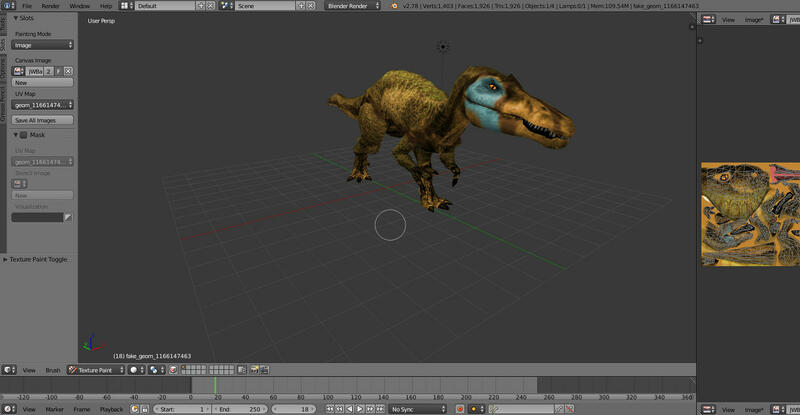 I've made an Allosaurus new model and when I tested in the game, my Allo has the same model it have before. EDIT: My mistake, I forgot to delete the lo, hi and md models. I tested now and it worked. Also, Hendrix tools put that it may crash another dinos animation from the same digsite, but it worked well, I tested it with a Kentrosaurus and it worked fine. You need to export animations and apply scale to animations in blender before you export. If you don't do that the game won't read the changes. Also, make sure the model you changed is the one you have on in your game (for example, editing the low allo model when you have high quality models enable in your game). Edit: It only crashes the game if you resize the model, I can confirm this absolutely happens since it happened to me when I resized my t.rex.